A natural supplement for schizophrenia based on studies showing that certain nutrients may reduce the symptoms of schizophrenia. SBX may complement the treatment of schizophrenia with antipsychotics. Details of the ingredients and their studies can be found by clicking on the links above. - address the nutritional deficiencies associated with schizophrenia. SBX may aid in recovery from schizophrenia but it is not a cure for schizophrenia or a treatment for schizophrenia. It should be taken as part of a holistic approach to a recovery. What are the Ingredients in SBX that could be Complementary to a Schizophrenia Treatment? The ingredients in SBX that could assist in treatment of schizophrenia are Antioxidants, Vitamin A, Vitamin C, Vitamin D, Vitamin E, Ginkgo biloba, Folic acid (Folate), Vitamin B3, Vitamin B6 and Vitamin B12 and minerals such as Manganese, Selenium and Zinc. We have produced separate pages for most of these core ingredients. To learn more about them please click on the links above. You will also find the independent studies by doctors, psychiatrists and other researchers that have provided evidence of the ability of these ingredients to reduce the symptoms of schizophrenia or improve the effectiveness of medication. 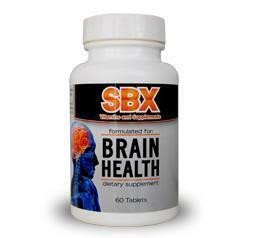 Only SBX contains so many of the natural ingredients that can help with the symptoms of schizophrenia. Many of the ingredients in SBX have been reported in the press and on reputable mental health and schizophrenia sites as being possible schizophrenia treatments for more than a decade. Notwithstanding, SBX Supplements is the only supplement company in the world to have made all of the relevant studies and information available on its website and to have tailored a supplement for schizophrenia using these ingredients. Recovery from schizophrenia requires a holistic approach including the ingredients in SBX but also concentrating on the exercise, sleep, meditation adjustments to home life and the removal of stress. Please look at our blog for details. We recommend following doctors’ orders with respect to medication, but believe that treatment for schizophrenia needs to go beyond just the medication and provide the chance to eventually, under doctors’ supervision, make a drug free full recovery from schizophrenia. Reason #1. Clinical research and almost 10 years of manufacturing experience have combined to create our science-driven supplement for schizophrenia. Reason #2. The ingredients included in the SBX are backed by over 20 independent, international clinical studies conducted by leading doctors and/or psychiatrists looking at vitamins and natural ingredients for their potential as a treatment for schizophrenia. Reason #3. SBX is manufactured in an award-winning, state-of-the-art, GMP-certified (Good Manufacturing Practice) facility in New York (U.S.) which means the ingredients in SBX undergo stringent quality checks. Additionally, SBX is stored in an NSF-registered facility. Reason #4. SBX is manufactured for safety in an FDA-approved facility that ensures purity and accuracy of materials through inspection and evaluation at every step of production and packaging. Reason #5. The ingredients in SBX are United States Pharmacopeia (USP) grade which means each ingredient is independently tested and reviewed to verify ingredient and product integrity, purity and potency. Reason #6. SBX is manufactured using natural ingredients through a process called "cold pressing". This technique allows SBX to maintain and preserve potency and purity. Reason #7. SBX is manufactured in accordance with Australia's Therapeutic Goods Administration (TGA). This means representatives from the Australian Government review SBX's manufacturer's Good Manufacturing Practice every 2 years and conduct an on-site inspection of the manufacturing and quality control processes to ensure they are in compliance with the FDA's mandatory guidelines. Reason #8. No adverse side effects have been reported since its original product design. Reason #9. Receive an unconditional 100% money-back guarantee 180-day trial period if you order now! IMPORTANT: SBX is not intended to replace any prescription medications. SBX is not a cure for schizophrenia.